As promised by New Jersey’s most recently appointed Governor Phil Murphy, the marijuana prohibition that may be on it’s way out of the state according to a new ordnance enacted yesterday. 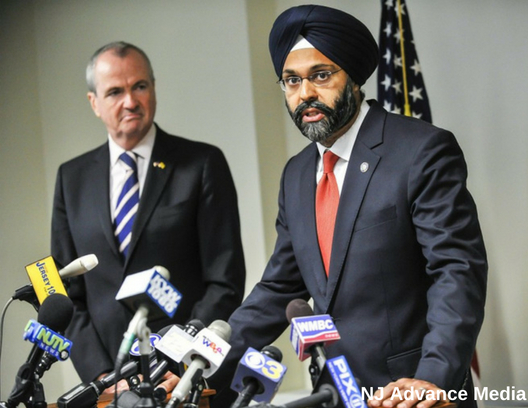 Starting today, New Jersey courts are ordered to suspend all marijuana prosecutions until Attorney General Gurbir Grewal and other law enforcement officials to develop a game plan on the way future prosecutions should be handled. These are decisions carefully crafted around a potentially very important bill proposed to be put up for consideration by the Senate this September. The bill was sponsored by state Senator Nick Scutari, D, the municipal prosecutor in the City of Linden. But the announcement did not include information on whether or not state would also put arrests for marijuana on hold as well. New Jersey has the second highest marijuana arrest rate in the country only behind Wyoming, and third in the highest total number of weed-related arrests after New York and Texas according to 2016 FBI crime data. Of the 36,000 marijuana related arrests, 32,000 arrests were charged with possession of small amounts. New Jersey’s punishments for marijuana convictions are so severe that they can cause the offender to lose their driver’s license, their potential to receive financial aid and even their homes. Alternatively, nine states not including the District of Columbia have decriminalized weed, and many more are set to follow in their footsteps. Over 50 localities in a dozen states have enacted compassionate municipal laws or resolutions either fully or partially decriminalizing minor cannabis possession offenses, according to the Washington D.C.-based non-profit NORML. Gov. Murphy admitted he is “not a big decriminalization fan” and hopes to move forward with legalization for adult use by the end of year. Back in March Murphy announced his interest in passing legalization back in March despite a lack of support from his own party.